Nuestra prioridad es brindarle un servicio excelente, seguro y su plena satisfaccion,a pesar de ello pueden llegar a surgir ciertos imprevistos durante sus vacaciones. Por lo cual queremos informarle sobre nuestra política de Reembolsos y Cancelaciones. Estamos orgullosos de hacerlo así. Está claramente a la vista, es honesta y no aparece en caracteres pequeños. Esto es lo que garantizamos! – se cargará un 30% de gastos. lo posible por reprogramar el Buceo/Esnórkel/Excursión sin ningún costo adicional. el cliente recibirá un cupón el cual será válido durante 5 años consecutivos. # Las excursiones pueden ser reprogramadas debido a “mal” tiempo o incluso canceladas por nuestra empresa, con la consideración de la seguridad de los buzos, tripulación y de la embarcación. darán como resultado un reembolso del 100%. escrito por una Autoridad Médica. que se debe cancelar un tour. notificación anticipada es equivalente a una cancelación sin notificación alguna. Diving Center Cancun hará todo lo posible por resolver cualquier disputa. cualquier conflicto que usted pudiera tener, estamos en la mejor disposición para servirle. Muchas gracias por elegir Diving Center Cancun. Select the best experienced during your holidays with scuba yacht charter. Ideal option for scuba divers,begginers or snorkels that want personal service, flexibility with your own schedule .After years of being funneled into large group trips to resorts or to liveaboard dive “cattleboats”, many divers are looking for an alternative. 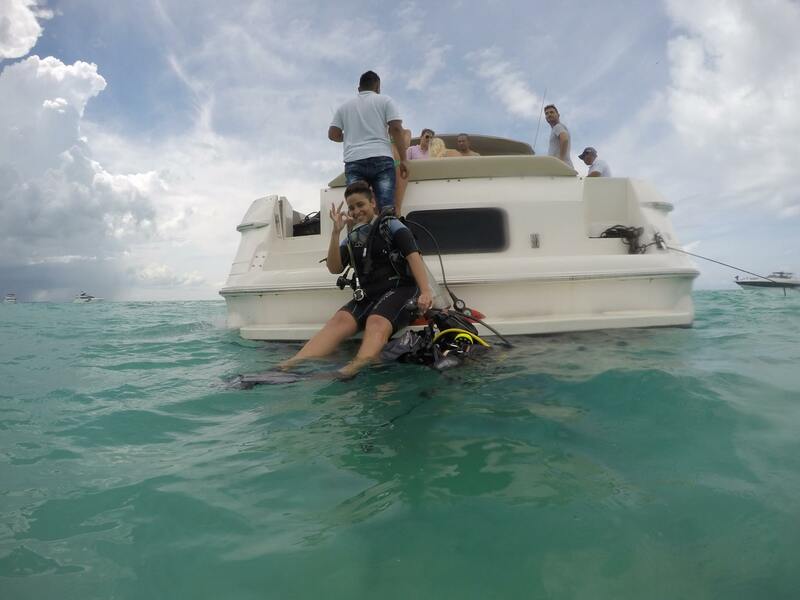 DIVING CENTER CANCUN want to offer privacy, custom-tailored schedules, one-on-one service, personal scuba instruction if necessary, and the ability to choose dive sites to your interests. Dive Yachts for Certified Divers: Our scuba dive charter yachts will either have at least a dive instructor onboard who will lead you on all of your dives. They will arrange dives according to your level of diving. There’s nothing quite like diving from the deck of your own private yacht charter with your personal guide. Begginers Deluxe : A dive charter is also an excellent choice for novice especially benefit from the individualized attention, pressure-free training schedules, patience, personal dive instructors aboard who can teaching the basics of scuba diving including theory lesson and skills practice before to dive in a beautifull coral reef. You are searching for their first step to make diving a career? Your adventure into the professional levels of diving begins with the PADI Divemaster program. 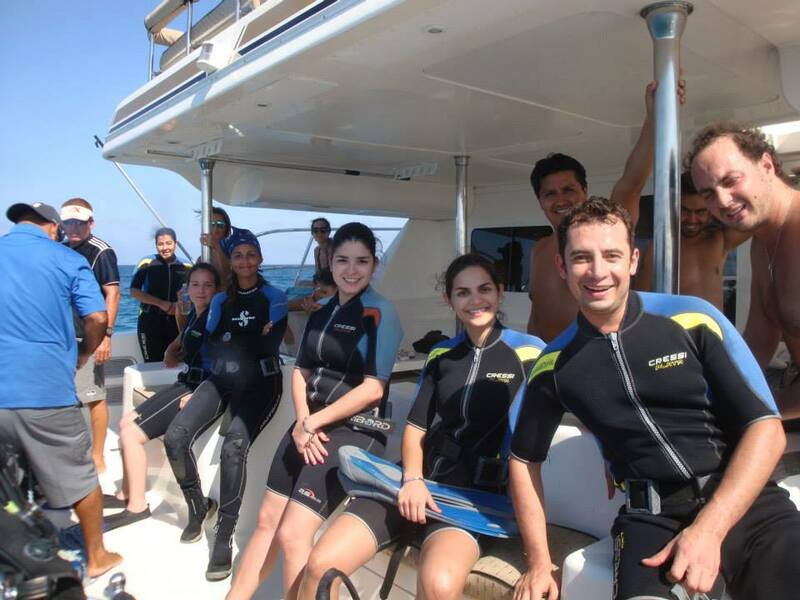 Working closely with a PADI Instructor, in this program you will expand your diving knowledge to a professional level. PADI Divemaster training will help you develop your leadership skills, water resistance, as well as training exercises that develop your organizational skills and problem solving. Programs will head independently as: Skin Diver, Scuba Review, Discover Local Diving, Discover Scuba Diving Snorkeling and Discover. You will guide groups of certified divers under the indirect supervision of a PADI instructor. EFR courses teach once you’ve completed the EFR Instructor course. Frequency: please contact us to set the course to suit you. Be at least 18 years. Certification Advanced Open Water Diver. Having first aid courses and completed secondary care in the last 24 months. Be fit for diving and have a medical certificate signed by a physician within the last 12 months. Start your preparation for emergency management and meet the prerequisites PADI Rescue Diver with EFR. As one of the main international agencies CPR and First Aid, Emergency First Response gives you the confidence to respond to medical emergencies – not only related to diving, but also for everyday life, with family, friends, neighbors and coworkers work. Requirements: PADI Open Water or equivalent certification, 15 years old, junior 12-14 years old. This course contains interesting challenges and most divers considered one of the most interactive and fun. Requirements: PADI Advanced Open Water or equivalent certification. EFR certification or equivalent CPR performed within the last 24 months. 15 years old, junior 12-14 years old. Diving is, undoubtedly, one of the most fascinating adventures we can all practice. This course is the first step, which aims to acquire the knowledge and skills needed to make diving easy, safe and fun activity. For this you have at your disposal our facilities for high performance and our most experienced instructors. in the pool five practices. Requirements: Minimum age 10 years for Junior Open Water Diver and 15 for Open Water Diver. Good health. 8:00 a.m. They will welcome you, the documents required to complete the course. Section began with theoretical and practical in the pool of the first 3 training modules. 24:00 enjoy your first 2 sea dives assisted by his instructor, unmatched expertise reef marine park. 15:00 You will be given Manual with which must study for the next day. 10.00 lecture and knowledge reviews of the modules 4 and 5. practical training in the pool. 8:00 a.m. will practice the techniques learned during the course in your last 2 dives. Arriving at will realize marina final exam, we will continue to your qualification and preparing your temporanea certification with which you can dive with validity of 90 days, while the original will be sent directly from the association PADI to his home. * The plan may change depending on your requirements. Referral program PADI (referral in English), lets you continue your diving course anywhere and get certified Open Water Diver. During most common referimento is Open Water, whether you need to finish the confined water training (usually in the pool) and the 4 open water dives, or just the 4 dives. As requirements for this PADI only need Referimento bring papers which specifies all you’ve done! and the rest is completed here!